There are currently no promotions for this property. From your private balcony high above Côte Saint-Luc, you're able to enjoy views of scenic Montréal when you live at Place Kingsley Apartments in QC. 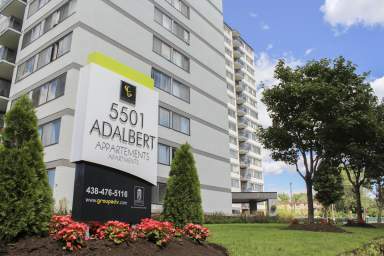 Located on a quiet street, our community offers a relaxing retreat, but is close enough to walk to all of the entertainment options of Côte Saint-Luc and a short drive to downtown Montreal. 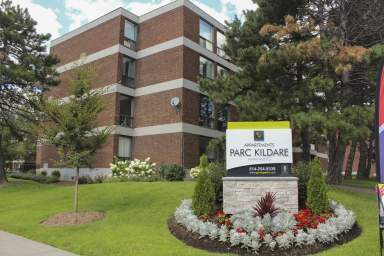 Place Kingsley Apartments opens you to all Côte Saint-Luc has to offer! 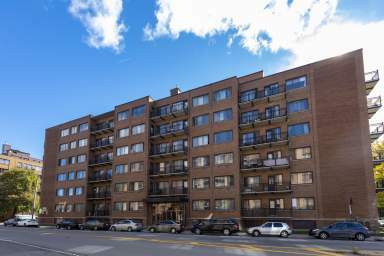 Conveniently located near the heart of Côte Saint-Luc and fifteen minutes from downtown Montréal, updated apartments with stainless steel appliances in select homes, available resident and visitor parking, and laundry facilities on site. Our central location and easy access to Highways 15, 20 and 40 gives residents of Place Kingsley Apartments numerous options for entertainment beyond the grounds of our community. With bachelor, one, two and three bedroom options, our homes feature high-end amenities like espresso cabinetry, laminate flooring throughout, on-site laundry facilities and of course, sweeping views of Côte Saint-Luc and Montréal right from your private balcony. 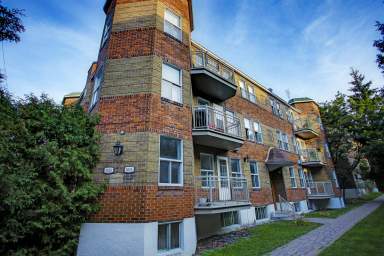 Families with children love that we are located so centrally to the wonderful schools in our area and university students enjoy being close to Dawson College and Concordia University. For those more retail minded, Côte Saint-Luc Shopping Centre is right around the corner on Côte Saint-Luc Road. There's so much to love about living at Place Kingsley Apartments, view our floor plans and find the ideal option for you, today!